The object of the procedure is to provide an employee who considers that he or she has a grievance with an opportunity to have it examined quickly and effectively, and where a grievance is deemed to exist, to have it resolved, if possible, at the earliest practicable opportunity. Most grievances can be settled informally with line managers and employees should aim to settle their grievances in this way if possible. This grievance procedure is entirely non-contractual and does not form part of an employee’s contract of employment. If a grievance cannot be settled informally with the relevant line manager, the employee should raise it formally. This procedure has been drawn up to establish the appropriate steps to be followed when pursuing and dealing with a formal grievance. In the event of the employee having a formal grievance relating to his or her employment he or she should, in the first instance, put their grievance in writing and address it to their line manager, making clear that they wish to raise a formal grievance under the terms of this procedure. Where the grievance is against the line manager, the complaint should be addressed to an alternative manager. This grievance procedure will not be invoked unless the employee raises their grievance in accordance with these requirements. A manager (who may not be the manager to whom the grievance was addressed) will then invite the employee to a grievance meeting to discuss the grievance and the employee has the right to be accompanied at this meeting by a trade union official, a trade union representative or a fellow employee of their choice. The employee must make every effort to attend the meeting. At the meeting, the employee will be permitted to explain their grievance and how they think it should be resolved. Following the meeting, NIGHT WATCH SECURITY SERVICES LTD will endeavour to respond to the grievance as soon as possible and, in any case, within five working days of the grievance meeting. If it is not possible to respond within this time period, the employee will be given an explanation for the delay and be told when a response can be expected.  The employee will be informed in writing of NIGHT WATCH SECURITY SERVICES LTD’s decision on the grievance and notified of their right to appeal against that decision if they are not satisfied with it. In the event that the employee feels his or her grievance has not been satisfactorily resolved, the employee may then appeal in writing to a more senior manager or to a Director of NIGHT WATCH SECURITY SERVICES LTD within five working days of the grievance decision. The employee should also set out the grounds for their appeal. On receipt of such a request, a more senior manager or a Director (who again may not be the person to whom the appeal was addressed) shall make arrangements to hear the grievance at an appeal meeting and at this meeting the employee may again, if they wish, be accompanied by a trade union official, a trade union representative or a fellow employee of their choice. Following the meeting, the senior manager or Director will endeavour to respond to the grievance as soon as possible and, in any case, within five working days of the appeal hearing. If it is not possible to respond within this time period, the employee will be given an explanation for the delay and be told when a response can be expected. The employee will be informed in writing of NIGHT WATCH SECURITY SERVICES LTD’s decision on their grievance appeal. This is the final stage of the grievance procedure and NIGHT WATCH SECURITY SERVICES LTD’s decision shall be final.